A low-stress bike map and a community determined to make Denver the most bike-friendly city in America. We believe that anyone in metro Denver should be able to ride a bike to any destination. Today. Learn about Bike Streets and our 2019 Plan. Read: Denver Post. Listen: Colorado Matters on CPR. Watch: 9News & CBS Denver. More. Sign up for monthly email updates on the project. Get the Bike Streets Map and ride the routes. On your phone, press the full screen icon on the map below. Get involved as a Bike Streets Neighborhood Captain or share your feedback with us. Biking to get around is great for your health, local businesses, and the environment. In fact, two thirds of people want to bike. And yet, most people don't. Denver builds most bike lanes where there are zillions of cars whizzing past. That's not where people want to ride bikes. Bike Streets are quiet side streets that allow you to get pretty much anywhere in Denver. No matter what you call them, they're the streets where people actually want to ride bikes. But a map by itself isn't enough. We're building a community of 100,000 riders. We get together on occasion, but mostly you ride solo or with friends. That said, we're all biking in the same direction: towards a world-class bike city. We encourage the city to install basic, low-cost infrastructure -- paint, signs, signals -- a far cry from the $2 billion I-70 expansion. 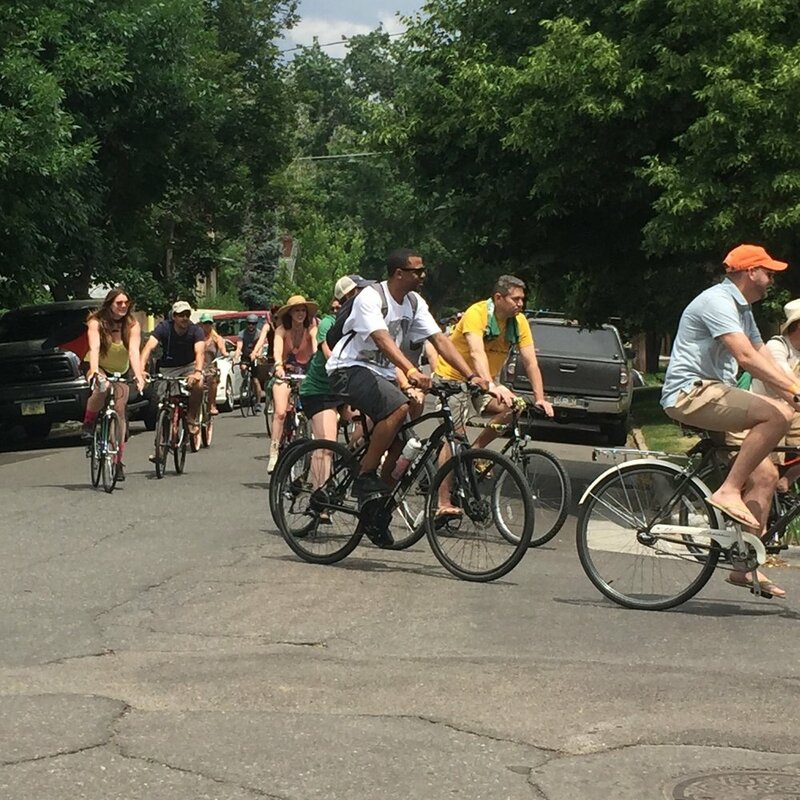 Together, let's make Denver a great bike city where anyone can ride a bike anywhere.